Originating in Chicago in 1979, the Little People have become a yearly tradition for countless holiday events across the country! 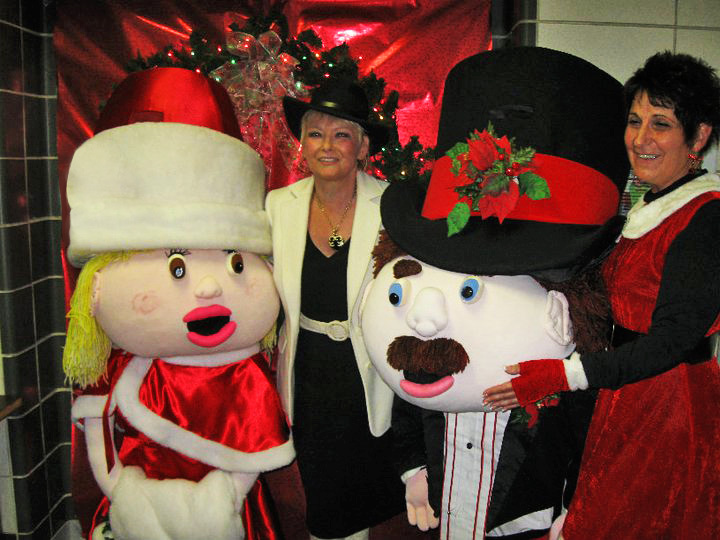 Our larger-than-life-characters have a universal appeal ideal for corporate events, community events, family celebrations, and more! Our most requested holiday elves will thoroughly entertain with their signature mini-musicals. Song choices include heart-warming holiday classics, high-energy dance numbers, and always something a little unexpected! Hilarious audience interaction is a big part of the show! Most shows are 20 or 30 minutes featuring 2 or 3 elves. The elves chatting live on wireless mics become a show in itself, as people of all ages join in the banter or just enjoy listening in. What a great way to create a buzz at your event, as well as some priceless take-away memories! Combine stage shows and roaming for the best entertainment package! "Those Funny Little People have made two of my Santa Arrivals a success! They entertain children and adults alike with their whimsical costumes, their music production and interaction with the crowds. You will not be disappointed in their professionalism, their production, or the reaction you receive from your guests!"